There are a lot of classic book and movie franchises out there, but none seems to be more popular and loved than Lord of the Rings! With a nearly equal love for both the movies and books, this series has become a solid part of pop culture and never seems to lose our attention. Looking for a solid movie to pop in for movie night? Why not Lord of the Rings? Want to re-read a classic book? Lord of the Rings is always a great option! For that reason, there are countless serious fans that are just as devoted to the series as they have always been. 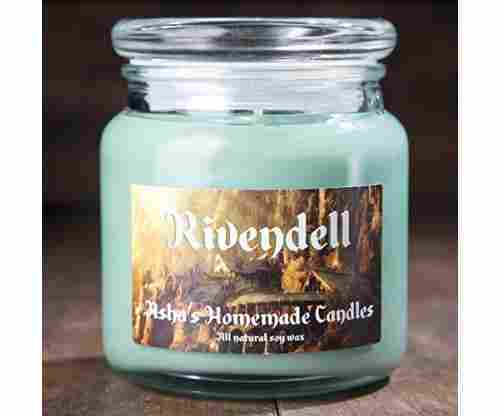 Thankfully, there are so many Lord of the Rings gift options that are different from just the books or movies themselves. Not sure where to begin? Do you personally not know the difference between a hobbit and an elf? That is okay! This list is here to help. Searching to find the one gift to rule them all? You are on the right track! Keep these 10 things in mind while you shop. Just about any item you can think of, you can get a Lord of the Rings version. \Looking to buy a desk lamp for someone going off to college? Why not get them an Eye of Sauron lamp? It still serves the purpose it needs to, but is so much more fun (and is sure to be a conversation starter). Perfect! Believe it or not, there is a lot involved in the creation of Lord of the Rings. In addition to the trilogy, there are countless books that give more information into the world of Middle Earth and author J.R.R. 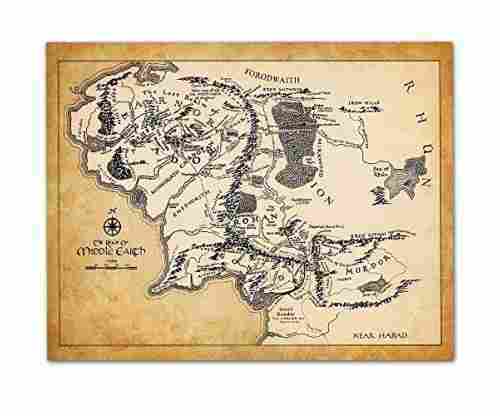 Tolkien’s journey to create and really bring this world to life. Simple! In addition to the Lord of the Rings trilogy is the successful series The Hobbit. From the book series itself to the movies, there is so much here to explore that gives more detail into the lives of the hobbits, in particular Bilbo Baggins. Games are always a great gift option as they allow multiple people to get in on the fun. Lord of the Rings is the inspiration for numerous games, both ones where you can try and travel to Middle Earth and go on a mission, to trivia games that put your knowledge to the test. Either way, game night is about to get a lot more fun! Shopping for your wife, girlfriend, or sister? 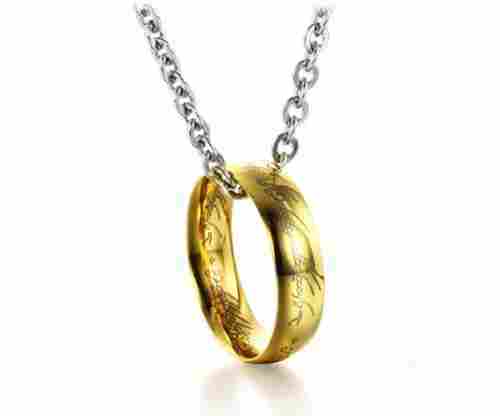 Why not get her a nice piece of jewelry that is inspired by Lord of the Rings? There are actually a lot of beautiful pieces that are not at all corny. While you might think that anything inspired by a movie would be tacky, in this case, that couldn’t be farther from the truth! Intricate scrollwork designs or leave designs make for some intriguing, unique pieces that will make her feel just like Arwen! We mentioned jewelry earlier, but this deserved its own section! Why not get a replica of the ring, the one ring to rule them all! An iconic piece from the movie, who wouldn’t love having their own version to slip on? There are cheaper versions if needed, or why not go for the full 14K gold version and really surprise the person you are giving the gift to? Precious, indeed! Clothing is great: Clothing can make a great gift, and there are plenty of Lord of the Rings inspired fashions to choose from. Whether you go more simple with a t-shirt, or consider getting a replica cloak, you have a lot of options, all of which would make for a great gift for a true Lord of the Rings fan. Lord of the Rings is remembered for many things, but some of the standout moments are all of the incredible battle scenes that take place over the course of the trilogy. Why not get a replica sword or shield as a gift for a fan? This is a great way to remember the series and makes for some seriously cool artwork. Lord of the Rings has kept up an incredible amount of popularity, even though the movies came out years ago (and the books were released decades ago!) As a result, there are plenty of meetup events to either dress like your favorite character, to go bar hopping, or for trivia night (just to name a few ideas). Why not search for events in your area and surprise your friend or family member by signing you both up to attend. Don’t just limit it to two people, consider getting a big group together and surprising the lucky person. This is a great gift they are sure to love and really appreciate. Finally, when in doubt, give the gift of your time and offer to come over for movie night to watch the series! 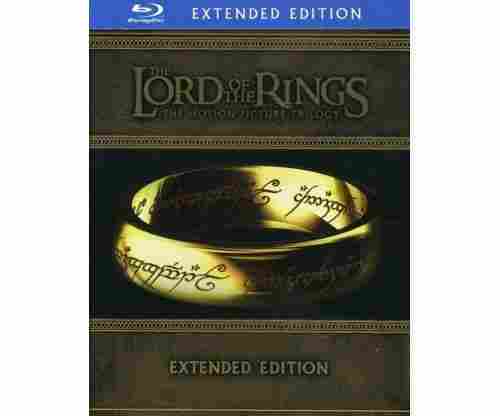 Keep in mind, each of the movies are long, so getting through the entire trilogy is probably more of a weekend affair, but this makes for a great gift that will also serve as a lasting memory for you and the person you watch with. Lord of the Rings was (and continues to be) one of the most popular book and movie series. Watching the movies feels like you are completely transported into Middle Earth and are living right along side of Frodo and everyone else. 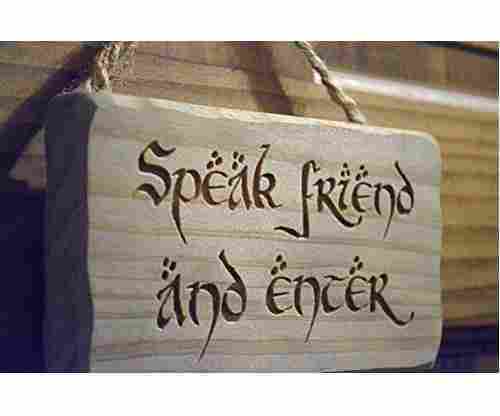 In fact, the series is so detailed that there is even its own language that many people can speak today- Elvish! The level of detail to this world has resulted in countless fans who still love the series as much today as they did when it first was released. Do you know someone who fits this description? Are they always rewatching the movies or rereading the books? Do they happen to quote it all the time, and secretly wish they were living with all the hobbits? Whether you are personally a fan of the series or not, you understand what a big deal it is for other people! That makes it a great category of gift to consider when shopping for their perfect birthday, anniversary, or holiday gift. 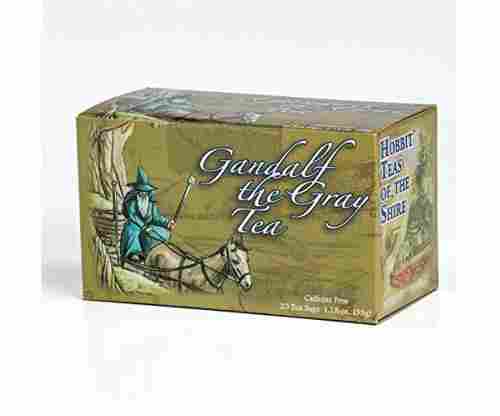 If you aren’t sure what makes a great Lord of the Rings gift, that is okay. We have curated this list for specifically that purpose - all of these gifts are excellent for anyone who is a fan of the series. From special editions of the book and movies, to clothing items, games, memorabilia, and so much more, there are so many options when looking for the perfect gift! Does the person you are shopping for love to play games? A Lord of the Rings themed game (especially trivia) will make for a great gift! Based on how much they love the series and their other interests, you can easily select the perfect gift, even if you don’t know much about the series yourself. 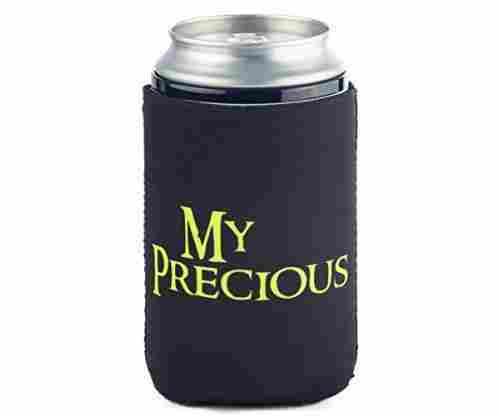 No matter who you are shopping for or what their age is, you can find the perfect Lord of the Rings gift. One ring to rule them all? We’ve got it! Everything that a true fan of the series would appreciate, we have thought of, and included on this list. From obvious gifts, to more unique and obscure ones, we have thought of everything. We All Share the Love for the Trilogy! Are you invited to a dinner party or housewarming party? You still want to be polite and show up with a gift! If the person (or couple) is a fan of the series, why not incorporate that into your gift? 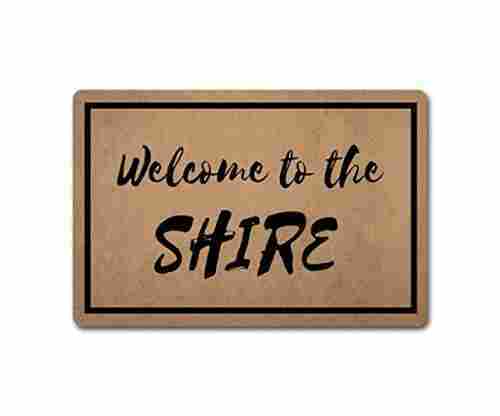 From Lord of the Rings themed decor that they would love to use to decorate their new home, to serving tools, plates, or cups inspired by what was used in the series, you have nearly endless options. If they want to feel like they are in Middle Earth, you can make that happen! Lord of the Rings is a favorite series for so many people, and sharing in that love is a great way to ensure you will end up with a perfect gift. If there is a special occasion or birthday coming up, why not start looking at our list and see what you find? We are sure you will find the perfect, precious (pun intended) gift you have been looking for! Start searching today.